Midnight Shopper Friday November 16th! 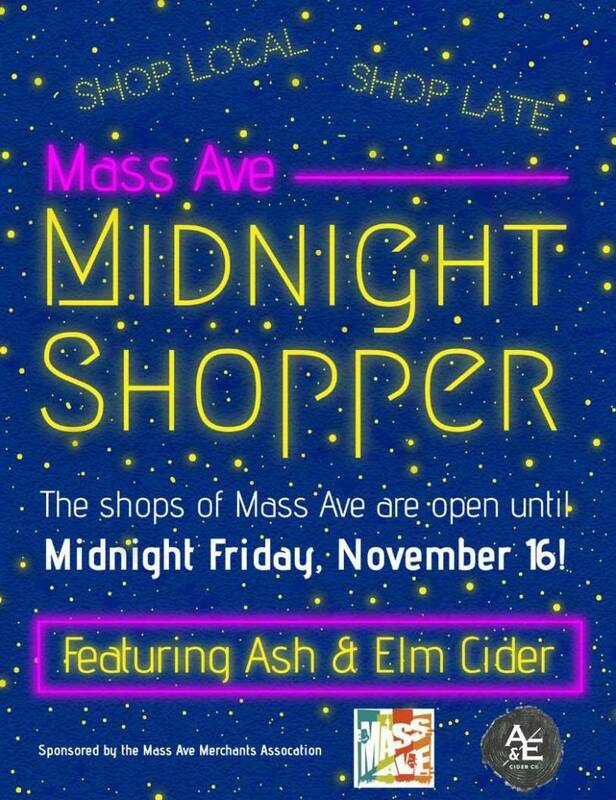 Join us for a late night of shopping on Mass Ave Friday, November 16th! Silver in the City will be open until Midnight and donating 10% of sales to Second Helpings! It's an annual tradition along Mass Ave for the shops to stay open until Midnight on the Friday BEFORE Thanksgiving to help shoppers get a fun start to their holiday shopping! This year, Mass Ave has teamed with local beverage maker, Ash & Elm Cider to provide samples of their tasty ciders all along the avenue! At Silver in the City, you'll find all of our best selling jewelry, gifts home & holiday decor in abundance, as well as our super friendly and helpful sales team to help you knock a few names off your holiday gift shopping list. In addition, we will be donating 10% of the day's sales (in stores and online!) to Second Helpings, a local not for profit transforming lives through the power of food.